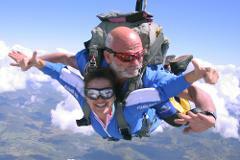 Tandem Skydiving is easy to describe but hard to forget! It is a positively thrilling experience that is awesome fun, it presents spectacular sights and exhilarating sensations. For the most mind-blowing experience & the most amazing visuals EVER, be a falling star and come for a tandem skydive at NIGHT! 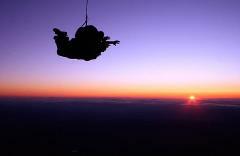 Put down a deposit for your Tandem Skydive, pay the remainder at a later date.